Robert “Cozmo” Consulmagno is a man with energy to spare and a fight inside. 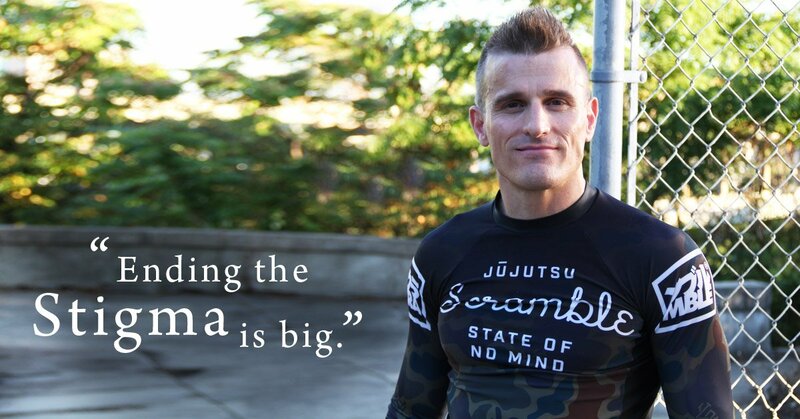 And while he faces human opponents (both on a jiu jitsu mat and in a boxing ring), his toughest battle is the fight that goes on inside his head. Cozmo is a Marine Corps. veteran who lives with post-traumatic stress disorder (PTSD) and bipolar disorder. His wounds run deep. 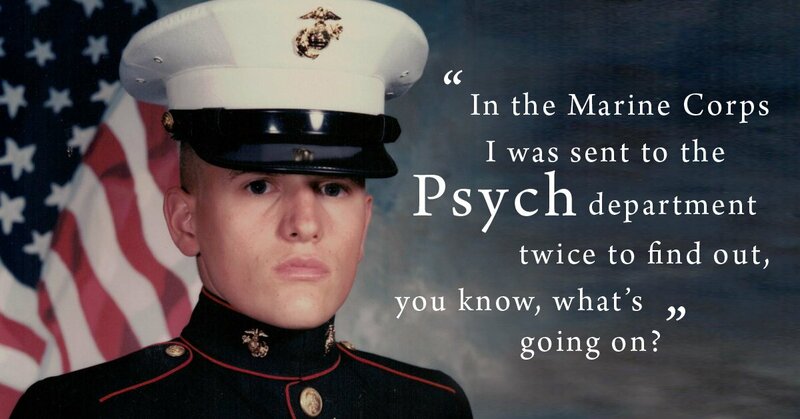 In addition to whatever emotional and physical trauma he suffered in the Marines, he also wrestles with the physical and psychological abuse he experienced as a child. In spite of the painful memories, Cozmo is determined to create something positive from his life’s battles. After his tour in the Marines, Cozmo embarked on a fairly traditional life path that included college and a job in sales. Inevitably, his demons would get in the way, and that path was often disrupted by his illness (including a few bipolar-induced cross-country road trips). He was unhappy and looking for meaning in all the chaos. He was always a fan of physical fitness. A friend at a gym where he worked out introduced him to Brazilian jiu jitsu, and Cozmo hasn’t looked back since. Brazilian jiu jitsu is a martial art and combat sport. It is designed for a smaller person against a bigger attacker. Rather than strike out at an opponent, competitors aim to control them by applying submission holds, so that the opponent cannot escape. Jiu jitsu uses leverage and technique to circumvent the larger opponent while minimizing injury. It is a sport that involves strategy and technique, and is as mental as it is physical. Jiu jitsu provides him with an outlet and a focus for some of his remarkable “Crazy Cozmo” (a nickname he likes) energy. 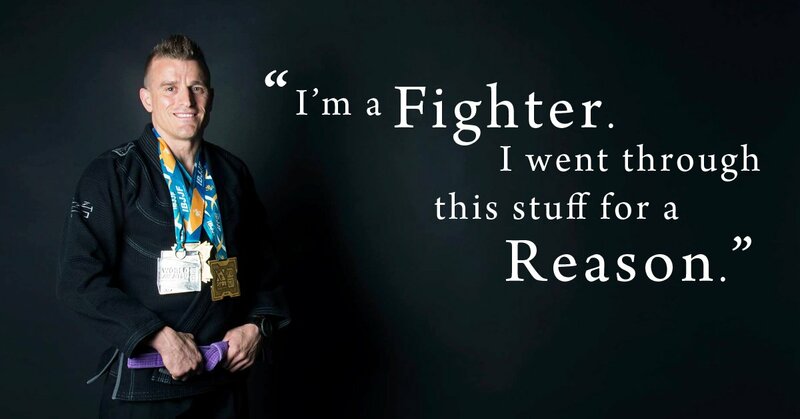 He is the proud and deserving holder of dozens of medals and a purple belt in the art form. His eyes are set firmly on earning a black belt someday, but the real prize is the feeling that his work is combating the stigma of mental illness. 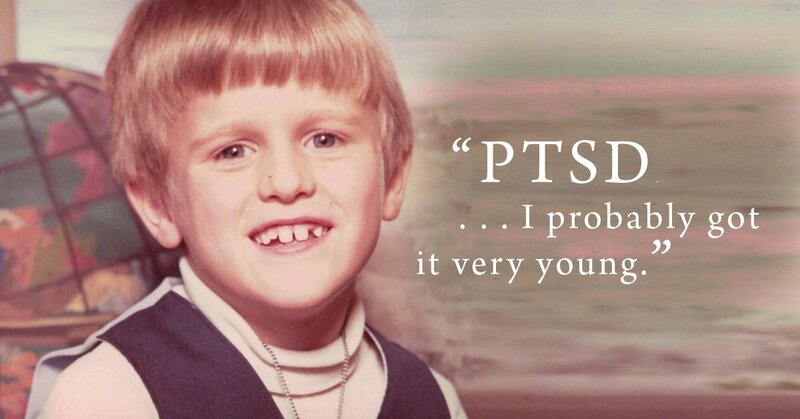 He now shares his journey willingly to encourage others to “go to the source,” and not be shy or ashamed to talk about the painful episodes that contribute to PTSD. Cozmo says that jiu jitsu saved his life. He wants to spread his message of hope and healing. He is an active promoter of this idea. He reached out to us with his story. And quite honestly, he was relentless. The same characteristic, I’m sure, that makes him a successful fighter made us pay attention to “Crazy Cozmo.” So we contacted him about this video. Our initial planning meeting was filled with story after story of a childhood filled with tragedy — of a father who committed suicide, a young mother who tried her best to handle the violent men in her life, and a step-father who was beyond abusive. Ideas for filming flowed — they included his workout, a jiu jitsu demonstration, a session where he played DJ (Cozmo is a most excellent DJ! ), and a scene of him working out on the lawn of his high school in Jersey City — Dickinson High School, to be exact. He came up with the idea of revisiting Wallis Avenue in Jersey City, where he was born and raised. His childhood home was filled with more than its fair share of violence and death. Going to the source of the pain, facing it head on, would be tough for any of us, and it wasn’t easy for Cozmo, either. But he was able to see the good and the bad that happened on Wallis Avenue. There were a few nostalgia-filled smiles amongst the painful memories. It is worth noting that in spite of such a close-knit neighborhood, no one stepped up or attempted to intervene to stop the violence that neighbors must have known was going on. A sad part of his sad story. 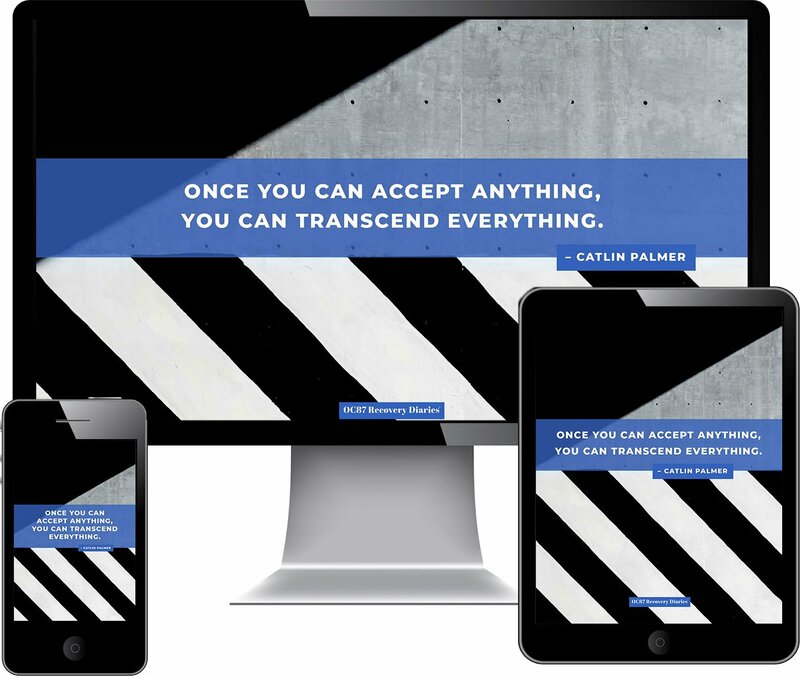 But Cozmo is seeking to put the pain to use, to make life better for anyone who has traveled a similar path. His goal is simple — to end stigma. But to achieve that goal, it’s more complicated. He wants to use his success as an athlete to bring attention to the things that no one would talk about when he was a child — physical and emotional abuse. He wants men, tough men, to talk about tough things that have happened to them, breaking the cycle of silence that surrounds such abuse. 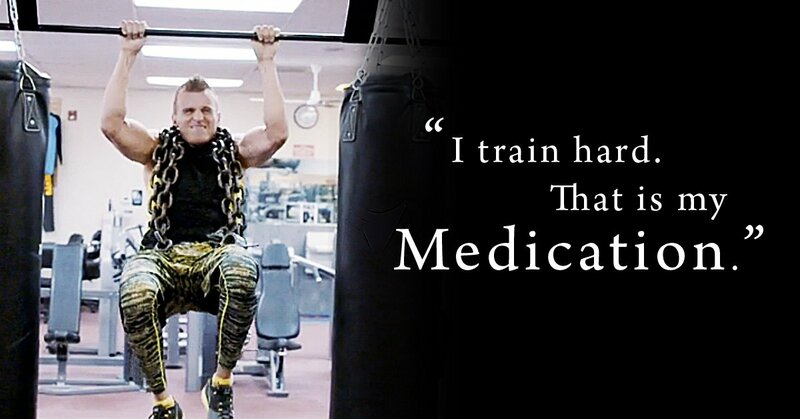 And he wants people to know that some form of exercise can be helpful in maintaining our mental health. For Cozmo, physical exercise is a way of managing his bipolar disorder and PTSD. His workouts are incredible. Music pumps into his ears as he lifts, skips, pushes, wrestles, and stretches. He works himself into a trance-like state at the gym until he is exhausted. After a moment’s rest, he hurries off to the next activity of the day. For so many years, he was a man struggling to find his place in the world. At 42 years of age, it looks like he has found that place. I talk with my kids about my mental illness often. They know Mommy has bipolar disorder. I teach my children that it’s okay to talk about mental illness.